**NEW** MOBILE APP NOW AVAILABLE!!! COPY LINK TO YOUR PHONE!! Lindo Parfumo perfumes are manufactured from A-grade quality essential oils imported from the world's leading perfume houses in Grasse, France. Our perfumes are expertly formulated to ensure that the highest quality product is delivered to our customers. 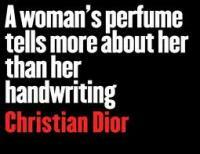 We endeavor to always include the world's top men and women's fragrances in our range. Our fragrances are practically identical to those of the original perfumes: they smell the same and last long; the only difference is that it costs a fraction of the price. We offer superb quality; value for money, and impeccable personal service. While our fragrances are effectively identical to those of the original, branded fragrances, we recognize that we need to respect their trademarks - our bottles and branding is therefore unique and does not resemble that of the original fragrances.